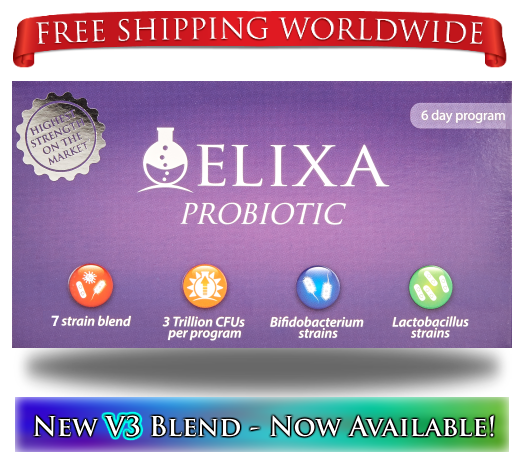 I have very recently launched Elixa Probiotic V3 after extensive early user trials and feedback. The early results for V3 have been extremely positive and a succinct way to summarise them, for people familiar with Elixa, is that this is an improvement upon both V1 and V2 combined. There were, after all, a few people who responded better to V1 than V2. Well V3 appears to be superior for both groups that have tried it thus far. Better than V2 for those who responded best to V2, and better than V1 for the smaller portion who preferred V1. For newcomers to Elixa, an explanation of our technology can be found in the V2 update article here. The changes for V3 have been steered by whichever of the v3 trial blends gave superior results, rather than being a prediction. Now that my company has grown, I am able to afford to produce batches purely for purposes of early trials, and this is allowing me to ‘A/B test’ blends. The final launch version of V3 was the one that performed best after a few iterations. The species of bacteria plays a large role in what a prebiotic fiber is broken down into. For example, a beneficial short chain fatty acid versus a not-so-beneficial acetaldehyde. With the upcoming release of Tribal Prebiotic (which is progressing nicely through a few extended trials I decided to run to make sure the launch goes well) many people will be consuming a defined set of prebiotics that I can account for. I have tailored the V3 blend to contain species that I think will work best with those substrates in mind. 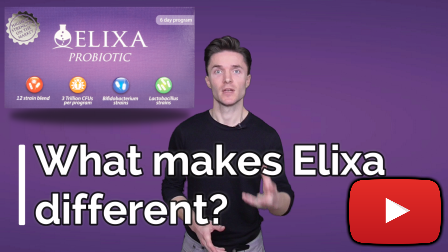 The early results from V3 have all come from users who have taken it without Tribal Prebiotic, and there is in no way any necessity to use Tribal alongside Elixa. V3 is superior to V1 and V2 on its own, without requiring any additional prebiotic. The blend change for V3 has also come with a bias towards species that can be produced at a high CFU/gram concentration. ‘CFU’ stands for ‘colony-forming unit’, and 1 CFU means 1 bacterium (minimum). Certain species are less sensitive to their own metabolic byproducts. When you culture bacteria, a primary objective is to remove their outputs to maintain optimal conditions. Such as removing an acid/alkali byproduct to maintain pH. As humans we exhale air with a higher concentration of CO2 (Carbon Dioxide) and less O2 (Oxygen) than the air we breathe in. If we did this in an air-tight environment, the CO2 would gradually increase and the O2 would decrease until we could not survive on that air any more. Extracting CO2 and replacing O2 into that contained atmosphere would solve the problem. That’s the same thing with removing byproducts when culturing bacteria. You don’t want them to poison themselves with their own waste. And ideally you don’t even want them to reduce their conditions from optimal (for proliferation). The species that are less sensitive to minor fluctuations from optimal conditions can be produced at a higher concentration. i.e. the final lyophilised powder will have more bacteria per gram. Using this fact, I have biased the species selection towards these higher CFU/gram species and thus this has resulted in a higher number of CFUs per capsule. In other words, the dose is now more potent. Lastly, the actual species themselves have seen a return in numbers of a couple of the Lactobacillus species that I had previously culled in the V2 blend. This has been based on my growing appreciation for incidence rates of small intestinal involvement in dysbiosis. I have also entirely removed some species which, at this time, I do not think are contributing enough to the overall benefit of the product on a comparative per CFU basis. 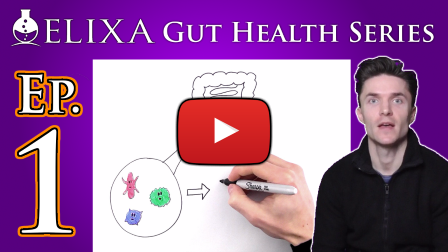 In other news: I am extremely happy to get my Gut Health video series rolling! The first episode can be found here and will explain the direction I’m going in.